Special Containment Procedures: SCP-??? is currently dismantled and housed in Storage Unit-07. No further procedures are necessary to contain SCP-???. SCP-??? is to be monitored at its original location, currently disguised as a government warehouse. Description: SCP-??? 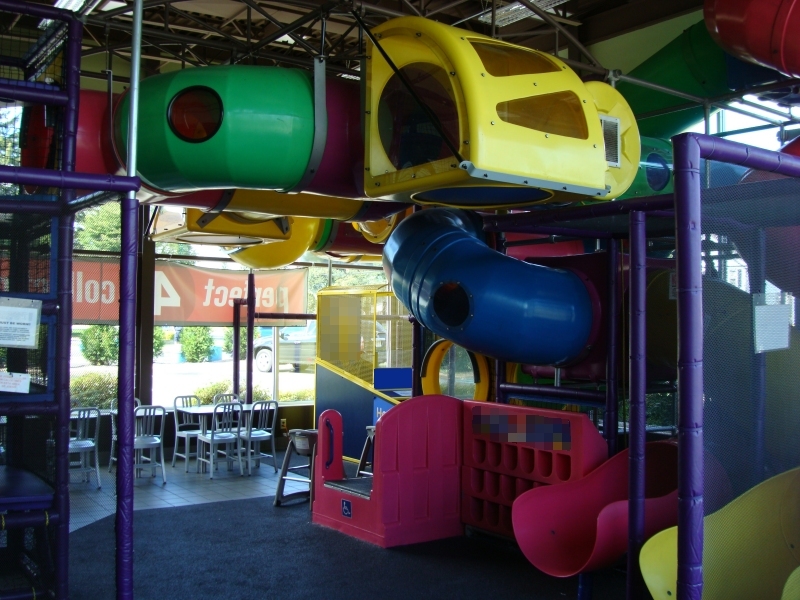 is a network of plastic tubing for child recreation installed at a ██████████ restaurant in ████████, MD. Structure exhibits no anomalous properties when examined or explored besides an almost imperceptible trembling and soft whimpering. On an irregular basis, vocalization may escalate into intense moans, shrieks and occasional gagging or choking sounds lasting up to several hours at a time, usually marking the start of a "gestation" cycle. Gestation lasts anywhere from fifteen minutes to eleven months, during which trace amounts of blood, amniotic fluids and [DATA EXPUNGED] may leak with increasing frequency from the structure's lowest entryway. No particular origin point or DNA match for these fluids has been found. A typical gestation cycle culminates in an outburst of labored screaming and the violent expulsion of bodily fluids, uterine tissues and one or more instances of SCP-???-1. SCP-??? exhibits a spike in vocalization coinciding with the termination of any SCP-?? ?-1 instances, likened to intense weeping. Following extensive testing, SCP-??? was originally dismantled, exhibited no anomalous properties in storage and was classified as safe. Over the following months an exponential increase in birth defects became apparent within a rapidly expanding radius of the original site. Samples were found to match the properties of SCP-?? ?-1 and SCP-??? was restored to its original location and configuration, whereupon the wave of abnormal births subsided. ███ confirmed and ███ potential instances of SCP-?? ?-1 were subsequently confiscated, dissected and terminated while class-B amnesiacs were administered to much of the surrounding populace. Affected couples were sterilized following evidence of long-term contamination and compensated for what they now believe to have been a class action lawsuit against a fabricated overseas pharmaceutical company. On November ██, ████ an ████████ paper reported a string of "monster" sightings corroborated by multiple eyewitnesses over a six month period. Foundation operatives eventually tracked activity back to a ██████████ allegedly closed for remodeling. ██ instances of SCP-?? 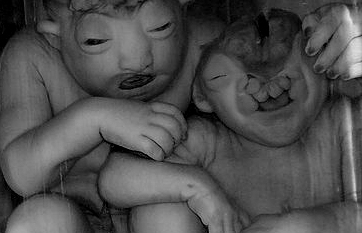 ?-1 were subsequently discovered in the establishment's walk-in freezer and ███ live specimens recovered from local sewage tunnels. All restaurant staff and management personnel remain unaccounted for.